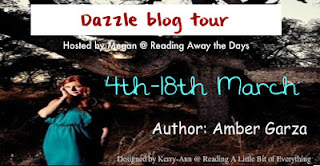 Today the Dazzle blog tour stops by with an interview with author Amber Garza and a giveaway! Can you tell readers a bit about yourself? I love books. I’m completely obsessed with reading, so it was no surprise that I ended up becoming an author. I write full time, always with a large cup of coffee near me and usually candy isn’t far away either. My second love is music so I always have music blaring while I write. I am married to an amazing, supportive man and have two wonderful children – 10 and 13. My 13 year old is a huge fan of my books, my 10 year old isn’t quite old enough to read them yet. Can you tell us a bit about your book Dazzle and the inspiration behind it? A few years back I participated in the 3 day novel contest over Labor Day weekend. At the time I was mostly writing women’s fiction, but I wanted to try something different. 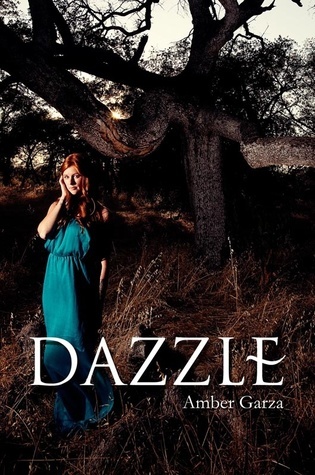 The idea for Dazzle came from a bible story (I can’t tell you which one or it will give away too much). Even though my novel doesn’t exactly follow the bible story exact, it has many similarities. I wrote the original draft of the book for that contest, but last year I pulled it back out and tweaked it a little to turn it into a paranormal romance. Do you have a motto for when your writing? Honestly, I get most of my ideas from the bible. There are so many great stories in the bible, and even though Dazzle isn’t Christian fiction, I love how it has a lot of spiritual symbolism in it. What's the best thing a reader has ever said to you? The Prowl Trilogy is Christian fiction, and it deals with issues like cutting and low self-esteem. I got an email from a reader once who said that Prowl had stopped her from cutting. That meant a lot to me. Why should we read your novel? Read it because it’s a fun, suspenseful read with lots of romance and action. Which song best suits our writing personality? I don’t know if it suits my writing personality, but what I usually listen to while writing is dark, moody music. The song I listen to the most is Tip of my Tongue, by the Civil Wars. That’s a tough one because I have so many favorite books. Last year my favorite book was City of Bones (actually the whole series was great). But I don’t think I have a favorite book of all time. Keep writing. Don’t give up. And read a lot! Thank you, thank you, thank you! Seriously, that’s all I can say. I’m so appreciative to anyone who takes the time to read my books. Sixteen-year-old Delaney Scott possesses a special gift. Ever since she was a child she has known about her calling and the duty she's expected to fulfill. However, all Delaney wants is to be normal. That's why she is drawn to Sam. He can offer her the life she's always desired. Only Sam has secrets of his own. Secrets that are deadly. Secrets that can change everything. Amber Garza has had a passion for writing since she was a little girl, making books out of notebook paper and staples. As an adult she's worked hard to make her dream of being published a reality. She writes while listening to music (mostly the Civil Wars), and drinking lots of coffee. 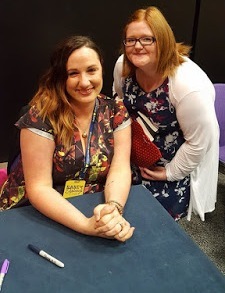 Amber lives in California with her amazing husband, and two hilarious children who provide her with enough material to keep her writing for years.